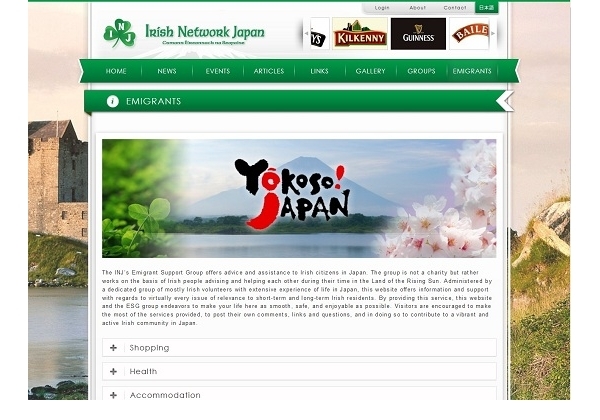 The Irish Network Japan is a non-profit volunteer-based organization that helps promote Irish culture, and people in Japan. 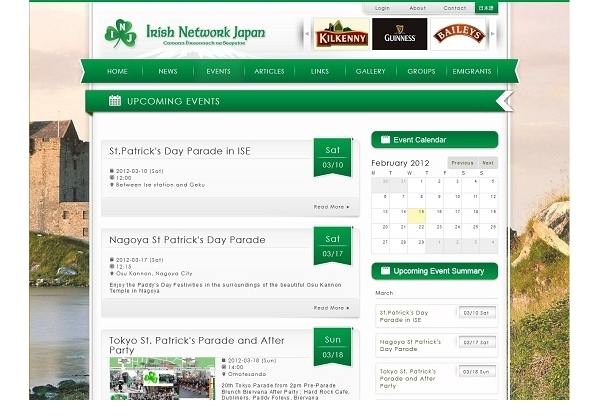 They needed an updated website that was better able to disseminate information to all interested people. They also required a site that was easy to update and navigate. We chose Drupal for the build because it was the best at handling the need for groups and memberships. 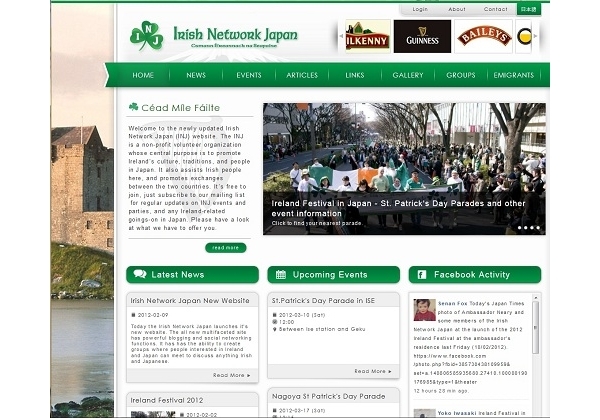 Naturally, anything Irish must be somewhat green, but we chose to make the site mostly white and tidy, letting the photos and images help express the themes. It is also a site that is filled with spots for the INJ sponsors, who are critical in helping the organization continue providing services.